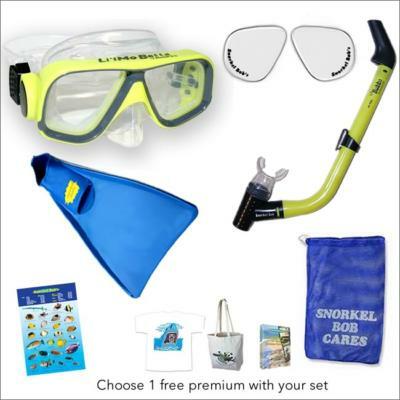 Snorkel Bob’s Compleat Reef System (CRS) for kids gives you a Snorkel Bob Brand Li’l Mo Betta mask (Rx lenses available), a Li’l Bubba dry snorkel with Comfort Grip mouthpiece, fins, gear bag, fish ID, no-fog goop (adult sets only), your pick: Hawksbill Babies at Oneloa DVD, turtle beach bag or T-shirt AND 1/2-PRICE TRADE-IN FOR LIFE! Kids need trade-in when they outgrow a mask, snorkel or fins. 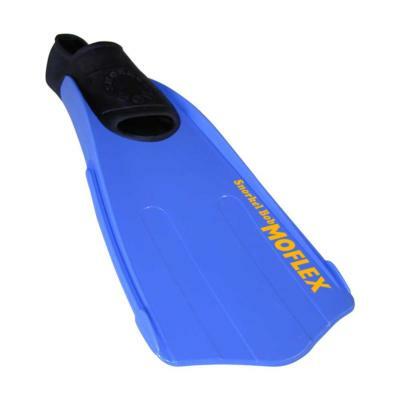 You can upgrade to a MoflO2 Fresh-Air snorkel for a taste of springtime on every breath! 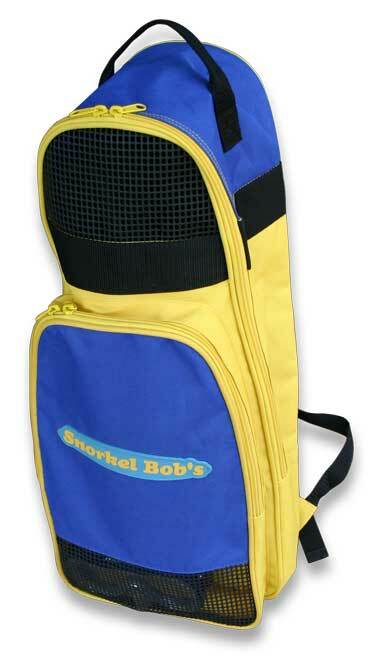 Upgrade from our standard net drawstring bag to a Reef Packer, over-the-shoulder, canvas zipper bag for your set! Our 100% combed cotton, triple-sheared beach towels with plush, velour top dry quickly post-snorkel. 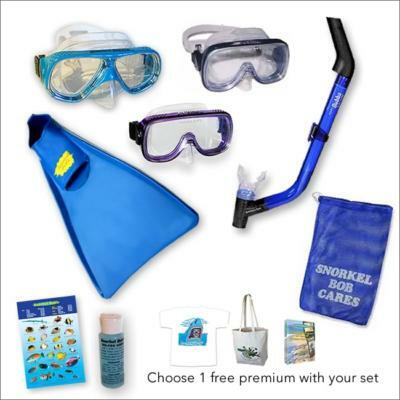 And yes, if you’re in Hawaii, weekly tariff accrues to fee simple ownership of à la carte snorkel gear. How do I do it? I, Snorkel Bob, can hardly believe it myself! NOTE: Rule 6* prohibits this discount from applying to additional CRS memberships or other SB specials, already like dirt; they’re so cheap. 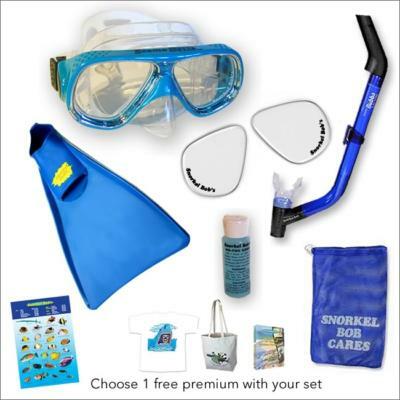 TRADE-IN PRIVILEGES FOR LIFE shall grant members 1/2 price on new Snorkel Bob Brand masks, fins and snorkels plus S&H. 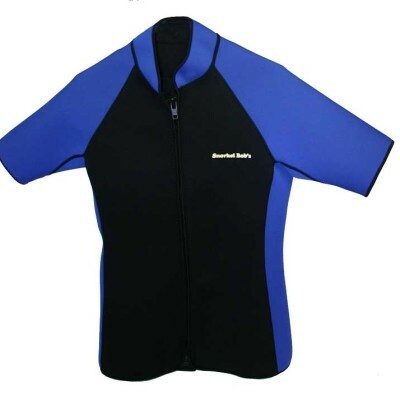 TRADE-IN may occur once every 6 months & requires returned gear in good working order. Frequent Snorkeler Discounts & Trade-In Privileges expire when you do. 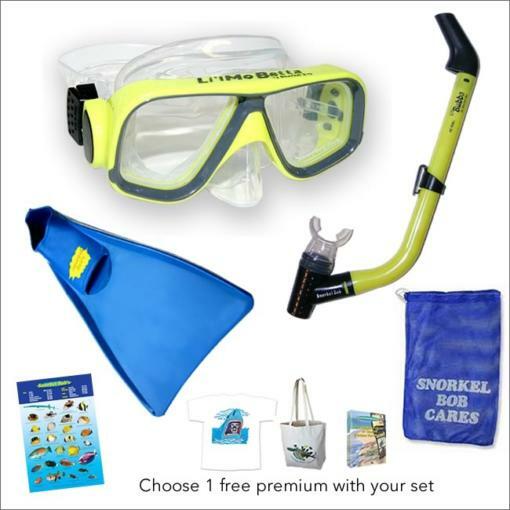 Snorkel Bob snorkel consultants must assess your trade-in S.B. Brand Product(s) for good working order. *Rule 6: Wusses, whiners and groaners need not apply. Persons suspected of exploiting this amazing offer to unfair advantage will suffer exposure to my, Snorkel Bob’s, now-famous Shark-Frenzy Impersonation. Have a nice day. I mean really.